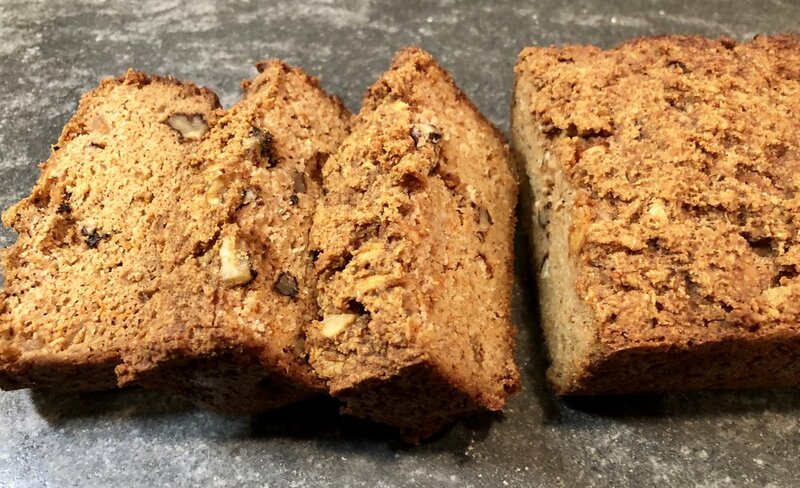 My clients who need to avoid gluten, dairy and sugar were the inspiration for this delicious bread, which turned out AMAZING! It’s savory with a hint of natural sweetness from the apples and carrots. It’s loaded with healthy fats to keep you satisfied and the walnuts add protein and bring a crunch to each slice. It’s perfect to enjoy for breakfast, dessert or anytime snack. I personally love it with some almond butter, ghee or a dollop of coconut yogurt on top! Grease a 9x5 inch loaf pan with coconut oil or line with unbleached parchment paper. Add in wet ingredients and mix together well and pour into greased loaf pan. Spread batter evenly. Bake for 30 minutes, then turn heat off and let bread rest in oven for another 15-20 minutes to let it set. To store bread, wrap in paper towel and seal in Ziploc bag or covered container in the refrigerator for up to a week or freeze for up to 6 months. 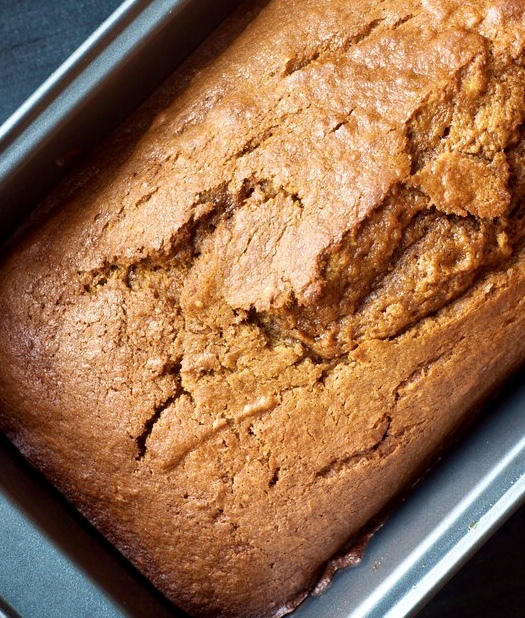 This delicious pumpkin bread is healthy, hearty and sweetened with applesauce and a drop of maple syrup instead of refined sugar, and made gluten-free by using almond flour instead of regular flour. It will win you over the first time you bake it and become your new favorite breakfast or snack! In a bowl, mix together the wet ingredients: pumpkin, eggs, applesauce, vanilla and melted butter. In a separate bowl, mix together the dry ingredients: almond flour, spices, salt and baking powder. Combine wet and dry ingredients well and pour into greased loaf pan. Spread batter evenly. Bake for 40 minutes until a toothpick comes out clean. Cool for 15-20 minutes, remove bread from pan and place on cooling rack. To store cashew bread, wrap in a paper towel and seal in a Ziploc bag. Can be refrigerated for about a week.